The centre-left Social Democratic Party said that it would back German Chancellor Angela Merkel in her plan to impose a “Marshall Plan” for debt-laden Greece. GERMANY’S OPPOSITION HAS offered support to the county’s chancellor, Angela Merkel, over her plans to tackle the eurocrisis and – specifically – to deal with the problem of debt-laden Greece. Merkel hopes to impose a plan to the Greek situation similar to the Marshall Plan applied to Europe after WWII. A spokesman for the Taoiseach Enda Kenny told the Irish Times that is was “encouraging” that Merkel’s “agenda is focused on solving a European crisis; rather than proceeding on a country by country basis, which has not worked”. 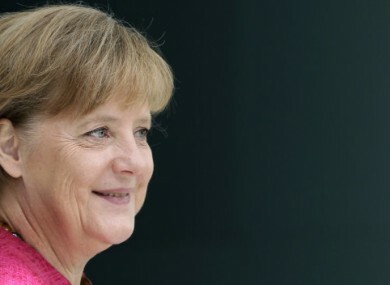 However, Merkel should not feel too comfortable: reports in the German media suggest that the offer of support from the SDP is an attempt to undermine confidence in the strength of Merkel’s leadership. Email “German opposition to back Merkel over Greece ”. Feedback on “German opposition to back Merkel over Greece ”.